Shooting Review: M&P 9 Shield M2.0 | Eagle Gun Range Inc. 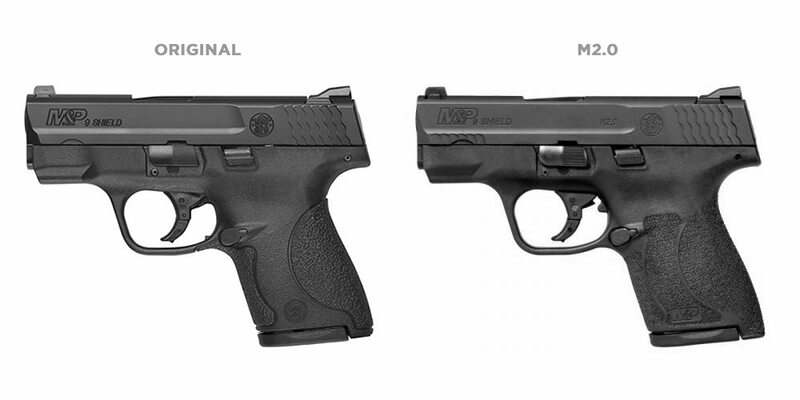 Recently, Smith & Wesson has been revamping its M&P line with the M2.0 series. 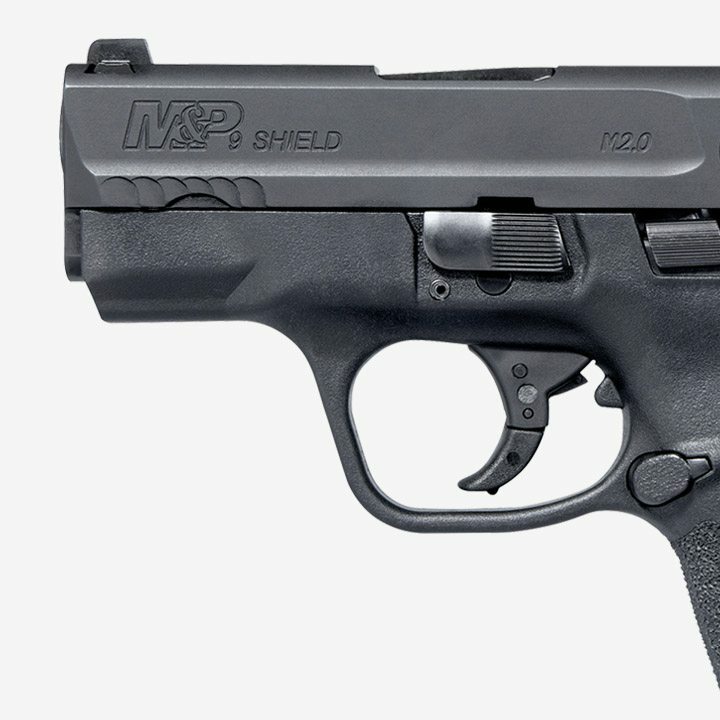 The latest in this series is the M&P Shield M2.0. Available in 9mm and .40 (the newish 45 Auto version is not technically in the M2.0 series), with and without an external safety lever, the Shield is one of the most popular pistols ever so an updated model is kind of a big deal. There’s no denying the Shield’s popularity and its genuine suitability to its primary purpose of concealed carry. I’ve recently spent a few days shooting the new M&P 9 Shield M2.0 and here I’ll detail my impressions from that experience and offer some technical comparison with popular competitor models. 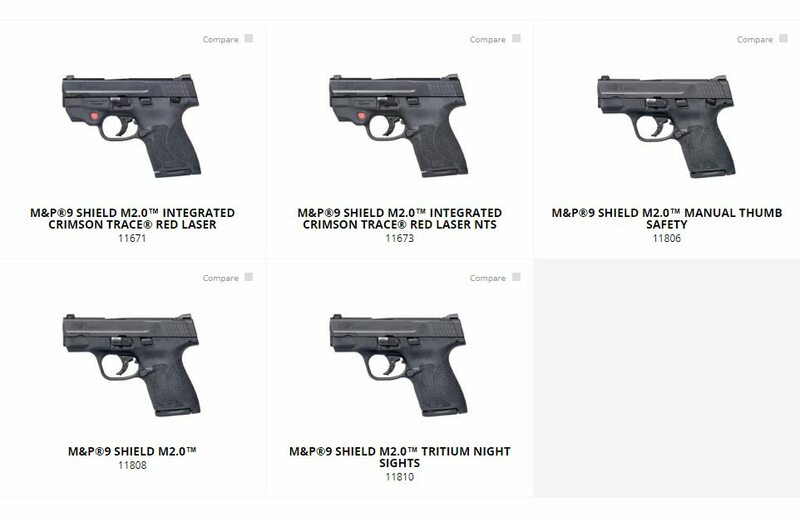 Why Consider the M&P 9 Shield M2.0? The M&P Shield is a purpose-made concealed carry pistol. It’s a single-stack model with a slim slide and frame that easily disappears on or into one’s waistline with a quality holster. It is not meant to compete with or replace popular double-stack pistols and it’s a bit too large to be a good pocket pistol. So it is made to fill a specific niche and it fulfills that duty as well as or perhaps better than any other pistol, depending on your taste. The M2.0 feature updates are meant to make an already top-notch pistol a bit better. However, as I’ll detail later, the M2.0 updates don’t really amount to much of an upgrade. The changes and improvements are few and slight, but not necessarily insignificant. 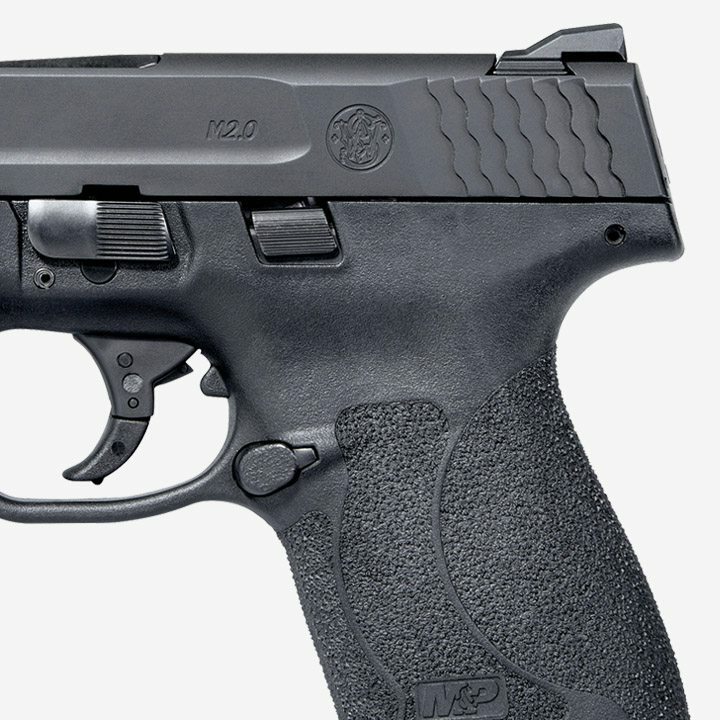 So while the M&P Shield model has always been worthy of consideration, the M2.0 upgrade is even more worth one’s consideration for an everyday-carry pistol. Note that the model I’m evaluating here was without a thumb safety lever. As an update, I’d say that this M2.0 model is quite a mild one, as it is virtually identical to the original, save for the grip texture. The M2.0’s trigger is perhaps better than its predecessor, but I still don’t like the long reset. When I did rapid-fire shot strings I didn’t short stroke the trigger, but my finger was doing more work that I’d prefer in a defensive situation. I mentioned in other articles that I’ve not been a big fan of the Shield and primary gripe with it owes to the otherwise positive feature of the very slim grip. This slim profile aids in concealability, but the tapered elliptical radius of the back of the grip is uncomfortable for me. As a prolific shooter (several days a week) I’m not bothered by recoil impulse or snappiness, but when I train I typically shoot 200 to 400 rounds in a session. The Shield’s comfort firing a few rounds is just fine, but shooting 100+ rounds with the recoil impulse delivered into the palm of one’s hand and focused on a thin and comparative sharp backstrap is not comfortable at all. I’ve heard other shooters mention this issue, too. The wider or flatter backstraps of other similar pistols are far more comfortable than this one. Surely this won’t be an issue for everyone, but it is for me. The M&P 9 Shield M2.0 comes with two magazines: a flush magazine that holds 7 rounds and an extended 8-round magazine. With the flush mag, my medium-sized hand just fits about half of my pinky and the extended mag offers an ample and full grip. The extended magazine makes a good backup, but it makes the grip too long for advisable concealed carry. Still, seven rounds in the flush mag and one in the chamber is pretty good for a single-stack 9mm subcompact. Though it has as good or better capacity than its competitors, that extra capacity comes at the price of the Shield 9 M2.0 being taller than any of them. The extra height may make it a bit less concealable than some, though only slightly if at all with the proper holster. The M2.0 grip texture is quite good. It is more effective and covers more surface area than standard M&P Shield grip texture. It makes it quite easy to maintain a good grip when firing strings of several rounds. I had the opportunity to fire some rapid-fire strings and never felt like I was having trouble maintaining control of the pistol or my grip. Missing, however, is the same texturing on the forward thumb position of the frame. This position where the support-hand thumb rests is an important component to recoil management and the slick polymer here does the shooter no favors. The most conspicuous feature of the M2.0 line is the aforementioned grip texture. The new texture is subtle, but quite grippy and might mitigate the need for stippling. I’d have to try it with wet hands to be sure and did not have this opportunity for this review. As with other M2.0 models, the Shield’s slide has the addition of some scalloped texturing on the lower portion of the front area of the slide. I can’t imagine what purpose this feature serves and it is not very attractive. The model I used for evaluation came without the external thumb safety (as all pistols should), but the Shield is available with an external safety lever. I found the slide lock to be easy to manipulate when I wanted to lock the action open. It did not get in my way when shooting and I never rode the control preventing the slide from locking back on the last round of a magazine, as can happen with some guns. The takedown lever is quite unobtrusive. It is smooth, rounded, and very low-profile on the frame. Well done with all of this. The Shield M2.0 has the hinged trigger, with a trigger stop on the upper portion of the trigger well as an interesting way to prevent overtravel. The M&P 9 M2.0 Shield has white 3-dot sights that seem to work just fine for my eyes. For its size and in its category, the M&P 9 Shield M2.0 is an eminently shootable and concealable, single stack pistol. The external controls are well designed and unobtrusive and the capacity is as good as one might hope, given the small size. The narrow backstrap makes prolonged training uncomfortable. Other than this and the lack of texturing on the forward frame for the support-hand thumb, I can think of nothing substantive to criticize on the Shield 9 M2.0. As for nitpicks, it doesn’t have the best trigger around, with quite a long reset, and I’ll point out that the small area of serrations on the bottom of the front of the slide are as useless as they are unattractive. The controls are well placed and unobtrusive and the grip texture is excellent. The thin grip is both good and bad, depending on your preferences. Some shooters will prefer the more vertical grip angle of the Shield as opposed to the more acute angle of the Glock 43. Definitely a shootable pistol, though less comfortable to shoot than most 9mm subcompacts. The grip texture does a good job here. I found it to be plenty accurate for serious business at close range, but less so than my Glock 43 at 10-15 yards. The 3.1” barrel is not best suited to great distances. For most defensive uses, no complaints here. The Shield 9 M2.0 has a thin frame that easily disappears on or into your waistline—with the flush magazine. The extended magazine causes some concealability issues. Carry that one as your backup. This is a solid and well conceived thin-framed subcompact in 9mm. The Shield has been the popular standard for this type and size of pistol for quite a while. There have been some new competitors in recent years, but the Shield remains a top pick. I wouldn’t say it is the best of the best, but it’s certainly one of the best. The M&P Shield is a proven performer and popular success. I have to believe that this new iteration will only help with its popularity. Also, I would tend to trust the quality of Smith & Wesson’s M&P line. Come by Eagle Gun Range and rent the M&P 9 Shield M2.0 and see what you think. For the “1.0” version, I found the fitted Hogue Handall beavertail sleeve to add just enough thickness to the grip to fill my hand comfortably, without unduly affecting concealability. With the 8-round mag (or at least an aftermarket pinky ledge baseplate for the 7-rounder), I find it hard to imagine a better IWB concealed-carry pistol. The Hogue solution is not as attractive for the 2.0, since one of the most visible changes is the more aggressive stippled grip. Slip on the Hogue and there’s not a whole lot else to the 2.0 to justify its higher street price. So, long story short, if your preferred mod to the 1.0 would be friction tape (ie. Talon panels), get the 2.0, otherwise stick with the 1.0. I think the perfect setup is to convert both the 7 rd mag and 8 rd mag with a +2 setup from MagGuts. This will give you the extra quarter inch pinky extension on the “small” mag, but will carry 9 rounds. Combine that with the extra one in the pipe, along with the converted 10 round mag and now you’re carrying 20 rounds in a VERY small package. This is something that a G43 can never do and for this reason alone the Shield is the clear winner. The price for my new in box glock 43 with 2 magazines was $449. I chose it over the shield because of the grip itself. The shield has a narrow and longer from front to back grip where as the glock is a little thicker and shorter from front to back. I have smaller hand’s and out of the 4 listed plus many other’s the glock 43 fit me the best. I got the Original .40 shield from academy sports for like $270 when the 2.0 came out. Havent regretted saving the cash because I really don’t see any major improvements in the 2.0. My 1.0 has been dead reliable and I’m not a grip texture elitist/crybaby. I have a 1.0 and the trigger pull is off the 8 lb measuring scale. Other reviews in the S&W Forum say up to 10 lbs, The only solutions is an APEX after market product. I may have to use the APEX solution because the gun is extremely accurate and dead on. Thank you, this was a helpful review. The M&P Shield is a proven performer and popular success.